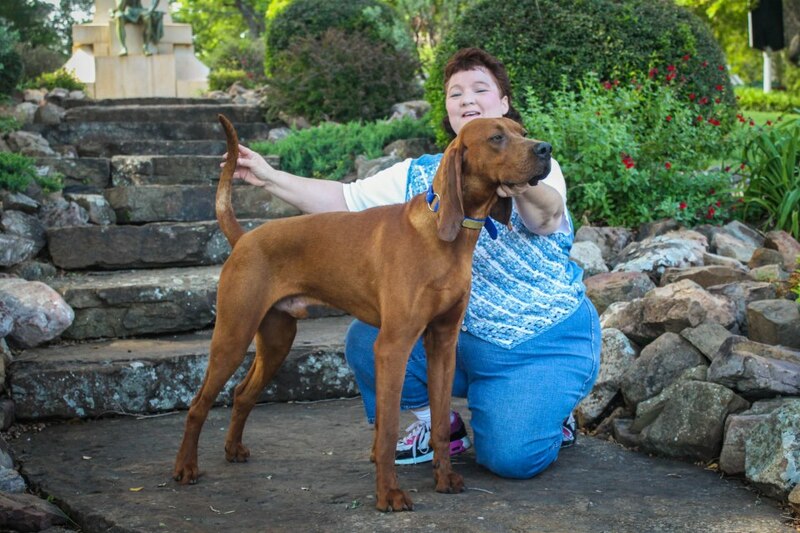 Trip is a double grandson to GRCH Tree Rizin' Triple Crown ("Trippy") one of the winningest female redbones in history and certainly one of the best female redbones to ever make such a huge impact on the breed. Trippy influences what Trip will become at exactly the same percentage as his parents do. That means, Trip is 50% Trippy bred and Trip's parents are two of Trippy's finest by way of Razor & Dutch. Bella (Trip's mama) is a beautifully made hound that moves as beautifuly as she is built. Bella is baby sister to our NITECH GRCH 'PR' Tree Rizin' Razor's Titanium Tank who has won King of Show @ American Redbone Days & Dual Champion Redbone at Autumn Oaks. This Razor & Trippy cross is the epitome of dual purpose. It's been proven time and again. Kane is by the latest Dutch X Trippy cross. This cross has proven to be a multi-purpose- show, field, and water cross. Pups have shown & won Nationally (including Kane) in UKC and several have finished to CCH or CGCH in the conformation ring. Kane has such a nice stout build and gorgeous feet! I expect Trip to carry the best of Trippy, Bella, & Kane with a touch of Razor & Dutch. Wow--- what a resume!!! That's some big shoes but from what I see in him already, I think he can do it.